Traveling through the old and mysterious, yet dynamic land of China is like going back in time: the eternal beauty of its famous mountains and rivers is the result of millennia of history. Through travel, one can truly experience the harmony of nature and history. One can also capture beautiful scenery on film and dream freely under the boundless vault above. 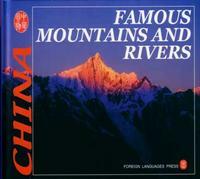 The culture of China's mountains and rivers has accumulated through humanity's development, and today they have several cultural functions: offering sacrifices to gods or ancestors, fengchan (offering sacrifices to heaven and earth), sightseeing, religion, and retiring from public life to study. Emperors offered sacrifices to the Five Great Mountains and the Four Large Rivers; local governments officials sacrificed to regionally famous mountains and rivers; and common people, to a local landmark. The Five Great Mountains are Mount Taishan in the east, Mount Huashan in the west, Mount Hengshan in the south (Hunan), Mount Hengshan in the north (Shanxi), and Mount Songshan in the center. The Four Large Rivers are the Yellow, Yangtze, Huaihe and Jishui rivers. The worship of mountain and river gods is a universal phenomenon in human development, and indeed the Chinese emperors offered sacrifices to them. Fengchan is a grand rite of offering sacrifices to heaven and earth held by the emperors in ancient China, in which feng refers to the emperor's climb up Mount Taishan to offer sacrifices to heaven and chan refers to offering sacrifices to the earth at a mound at the foot of Mount Taishan.